Located in western New York State, Genesee County is 550 square miles with a population of 60,370 as of the 2000 census.The County is divided into thirteen towns, six villages and the City of Batavia, the county seat. It is located midway between the major urban areas of Rochester and Buffalo. Are you thinking about starting or expanding a business in Genesee County? Maybe we can help. We chose Constellation as our endorsed energy supplier in 2002. This program helps our members to develop energy management solutions to protect their bottom line. Want to know more about Genesee County? This guide is a great place to start! It includes a substantial amount of information about our local communities. The GCEDC is the driving force in fostering community economic success. The Chamber works closely with them to provide support to our members. The BEST Center at Genesee Community College is a local provider of training, workshops and consulting for businesses here in Genesee County. 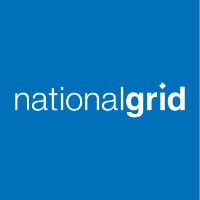 We urge our members to look into this, you can cut your energy costs up to 30% with this program from National Grid. The Job Development Bureau’s purpose is to provide programs and services which will result in our customers becoming self sufficient, achieving their career goals, and becoming part of the skilled workforce of Genesee County. The Genesee, Livingston, Orleans, Wyoming Workforce Development Board is a 40 Member Board that addresses workforce issues in the GLOW region. A variety of employment resources put together by Genesee County representatives for the citizens looking for work inside of Genesee County.